Honeymoons, anniversaries, engagements, make-ups — there are plenty of reasons to be amorous. Find love in all the right places with this list of romantic destinations in the northeast United States. What's to Love: Five master suites in a Jazz Age grandeur manor house in Litchfield County with a private movie theater, grass tennis court, and fireside cocktail service. Good to Know: It's the only building left by Palm Beach architect Addison Mizner in the north. What's to Love: It's like stepping into someone's tasteful, minimalist country house (ca. 1750), complete with slanted floors, roaring fires, and homemade frittatas. No chintz, just an Eames chair or two. Good to know: Best in summer and fall when you can hike the Appalachian Trail, visit Lake Waramaug, or have a leisurely lunch at nearby in Litchfield. Photo courtesy of The Grace Hotels. What's to Love: Very old-school, filled with antiques and acres of chintz. The rooms are huge, with four-poster beds, fireplaces, and great movie selections. In the winter, they freeze the tennis court for ice skating and serve oysters on snowballs around a fire. Good to know: Jacket and tie are required for dinner, and beforehand you sip champagne and eat canapes in front of the fire. The dining room is hard to describe: very dark, very ornate, very intimate. Like where Batman would go if he had a big date. What's to Love: The pre-Revolutionary restaurant and candlelit inn was a popular stagecoach stop in 1760. The antique decor is streamlined and sophisticated. And incredibly cozy. Good to Know: There are several intimate dining room nooks with roaring fires and exceptional (local, seasonal) tasting menus. What's To Love: The old-fashioned birdcage elevator, a wraparound porch, a tavern that serves hearty stews, and the Lions Den for pints. Good to Know: Bonus charm: It opened in 1773 as a stagecoach stop and has been welcoming guests ever since. What's to Love: Very romantic year-round, but especially during the winter months when you can make the most of your in-room fireplace. The gardens were designed by Frederick Olmstead, and the restaurant is incredible. Good to Know: Tanglewood, the summer home of the Boston Symphony Orchestra, is just down the road. Pack and a picnic and enjoy sonatas under the stars. 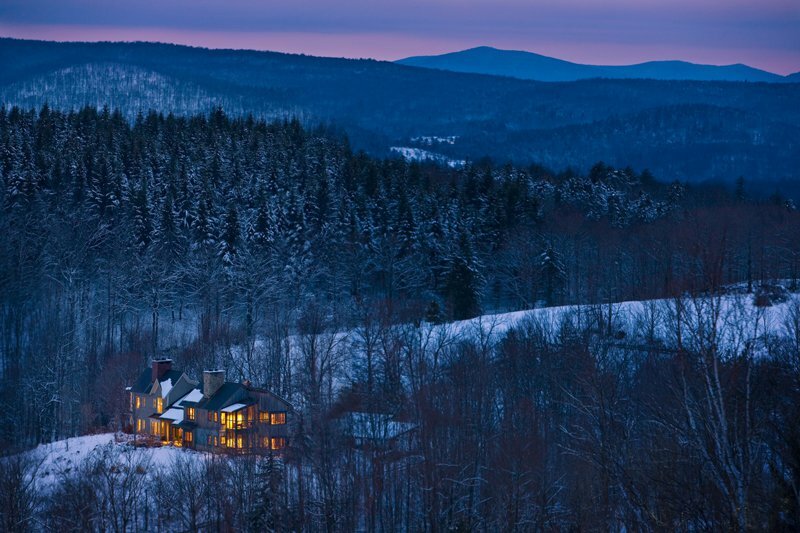 Read More on Gentedimontagna: See our Berkshires Itinerary for tips on what to do, eat, and see. What's to Love: Low key but high-end and cool, with a fabulous spa, nice food, and lots private room options. The Pony Pad is a little house with a fireplace. Good to Know: Take a hike around for views of the Shawgagunk Mountain Ridge and Lake Minnewaska at any time of year (don't forget a thermos of hot chocolate in winter). Revive après-hike at . Read More on Gentedimontagna: See our Hudson Valley Itinerary for tips on what to do, eat, and see. Photo courtesy of Glenmere Mansion. What's to Love: Gorgeous restored mansion on a hill in the perfectly picturesque upstate hamlet of Tivoli. The bridal suite has views of the Hudson River and the Catskill Mountains, and the extensive vintage decor was done by a former antiques dealer. Good to Know: Feels like staying in a palace, and you can take a hike right out your door. Saul Bellow wrote Herzog and Henderson the Rain King while living here. Read More on Gentedimontagna: See our Hudson Valley Itinerary and Catskills Itinerary for tips on what to do, eat, and see. Photo courtesy of Inn at Windmill Lane. 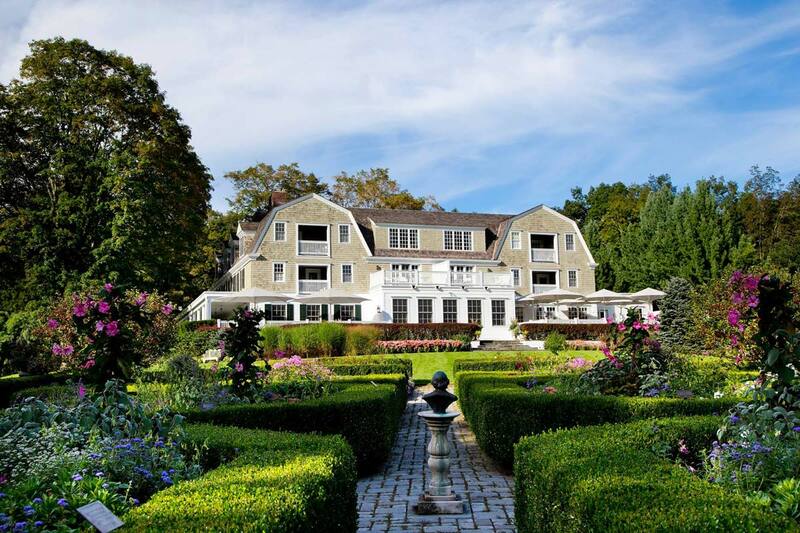 What's to Love: Classically modern cottages and suites with ridiculously lavish amenities: Duxiana beds, private exercise rooms, rain showers, preferred tee times at Montauk Downs Golf Club. Good to Know: Prices go way down off-season, and it's very quiet and cozy. What's to Love: Not a hotel but rather an experience. Each of the dozens of tiny islands in the Saranac lake chain has individual campsites you can rent. Like having your own private island for $15. The only way to get to the islands is by boat, so you rent a kayak to get there. 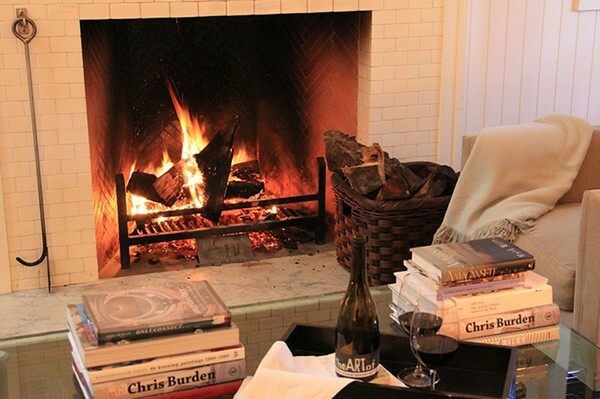 Good to know: Don't forget firewood, a cozy tent, lots of wine, and great food. Make a weekend of it. Beyond blissful, and super cheap. What's to Love: A narrow brocade-and-chandelier-filled boarding house conjures fantasties of urban living circa 1880. The place feels like a find — there is no signage, front desk, or hotel lobby. Good to Know: Rooms vary in size and style. Ground floor suites share a backyard patio. Read More on Gentedimontagna: See our NYC Guide for restaurants, sites, shopping, and nightlife ideas, as well as our list of Most Romantic Restaurants in NYC. What's to Love: Two-room inn and new seven-room garden house with gorgeous views of the Hudson River Valley, which doesn't have as many nice hotel options as it should. Great on-site spa and restaurant. Good to Know: It's the best place to stay when you're making a trip out of dinner at , a short drive away. What's to Love: Old-world glamour and service and location, location, location. All that New York has to offer is steps away and the hotel's perch on Central Park offers some of the best views in the city. Good to Know: The high tea is delightful, and the hotel's complimentary BMW makes quick junkets to the theater or a downtown restaurant effortless. 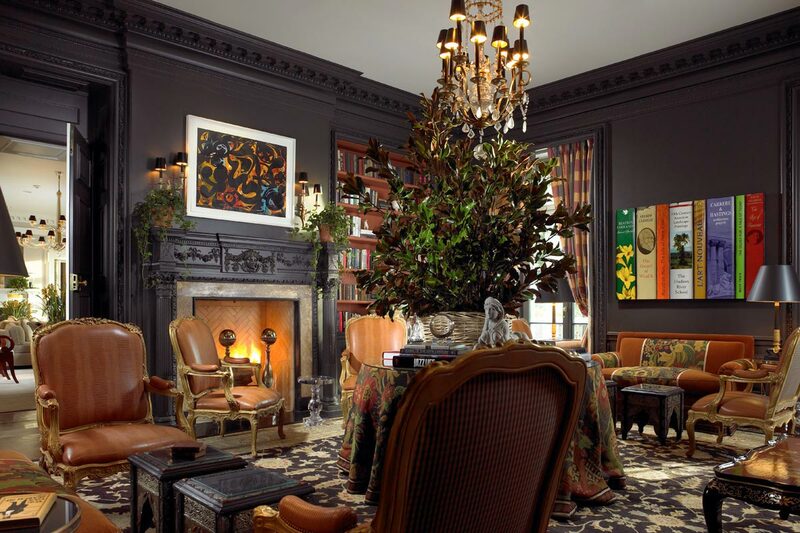 What's to Love: The Beaux Arts show-stopper designed by Jacques Garcia has a cozy library, swanky drinking dens, and several dining alcoves — meaning there's plenty of places to show off your hot date. The dining atrium is run by the exceptional team from . Good to Know: Clawfoot bathtubs, Sferra bathrobes, and antique writing desks channel romantic notions of Paris. 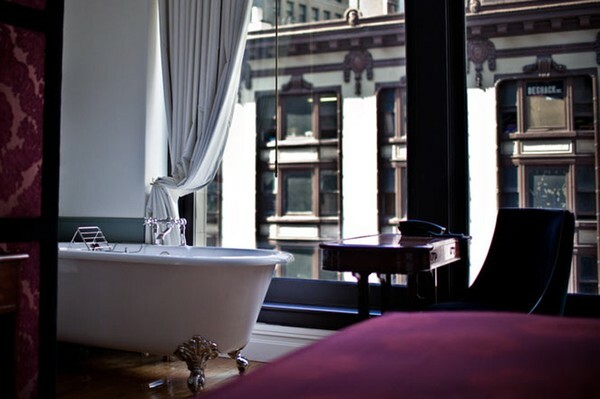 Photo courtesy of NoMad Hotel. 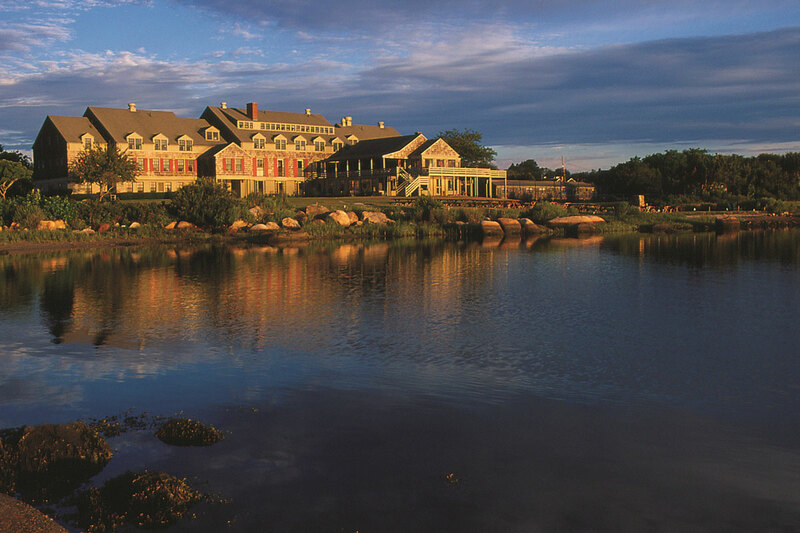 What's to Love: Gorgeous hotel overlooking the beach and the quaint, picturesque seaside village. Ideal for summertime seaside fun and indulging in pure Americana at its baronial best. Good to Know: The couple's room at the spa has a private hydro-soaking tub and deluge shower. Photo by Geri Abdoo / Courtesy of Weekapaug Inn. What's to Love: Only eleven rooms, each with its own design theme and decor. Of special note, Mountain and Ski rooms. The restaurant is outstanding, and the downstairs bar/game lounge is great, especially after a day on the slopes. Good to know: The country store across the street is just as postcard-perfect — and serves great sandwiches. You're only a short drive from the Sugarbush and Mad River Glen ski areas. American Flatbread, a very special pizza restaurant found in a barn, is also nearby — and an absolute must. What's to Love: Tastefully appointed everything, smack in the middle of nowhere. Super private, homey, and, even when full, feels like you have the place to yourself. Individual cottages are decorated with the owner's incredible art collection. Hushed, darkened dining room is set up so that all parties face the fireplace and kitchen sticks to local goods even in the depths of winter. Meals are made to order according to a pre-arrival food questionnaire; you never see a menu. Good to know: Go here instead of the nearby ski resorts: There are a half dozen downhill trails on the property and the most fun thing ever is that they cart you around the mountain on snowmobiles. Hit the furo (Japanese soaking tub) on a cold snowy night — a car service brings you to and from the tiny shack which is hidden in the woods. 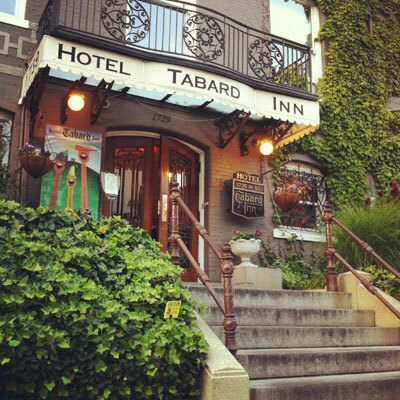 Photo courtesy of Hotel Tabard Inn. What's to Love: There's little that's truly romantic in the nation's capital. But this quirky inn has so much Americana charm, it almost makes up for the lack everywhere else. Good to know: Every room is different and some have shared baths. Room 26 has a grand piano, but book ahead because it's often used for events. Note: Sorry, Canada. We don't have a guide for you yet. But we're working on it! What's to love: At the stunning Vancouver Island eco-safari, they craft bespoke expeditions in the remote wilderness of British Columbia, like mountain river kayaking, hot spring hiking, and bear and whale watching, to name a few. When you're in the temperate rainforests of Pacific Rim National Park, you and boo are snug between the covers in one of twenty luxury canvas tents furnished with old-world rugs, antiques, and heirloom china. 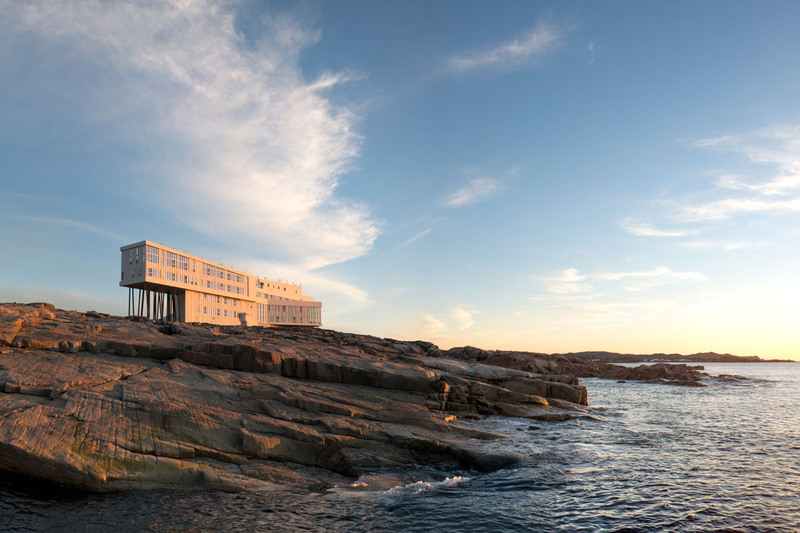 Photo by Alex Fradkin / Courtesy of Fogo Island Inn. Contributors: Becca Bergman Bull, Scott Conant, Eric Demby, Kate Donnelly, Christina Ohly Evans, Stephanie March, Erin Murray, Alyssa Shelasky, Beth Silverman, Lockhart Steele, Angela Tribelli, Sheri Warshaw.